Revolutionary design allows professional chefs to completely renew their cutting surface a number of times. Use a knife to separate layers and easily peel away the worn cutting surface as needed. 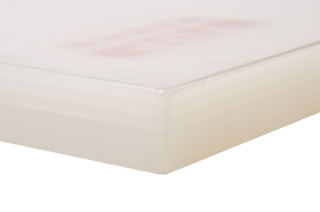 Each layer is bonded by heat instead of with uses of adhesives. It is important to turn over the board daily and use each side in order to prevent warping. Download PDF file for more details. Wooden cutting boards are currently banned by the NYC health department. KORIN advises customers to take sanitary precautions when considering a new cutting board.